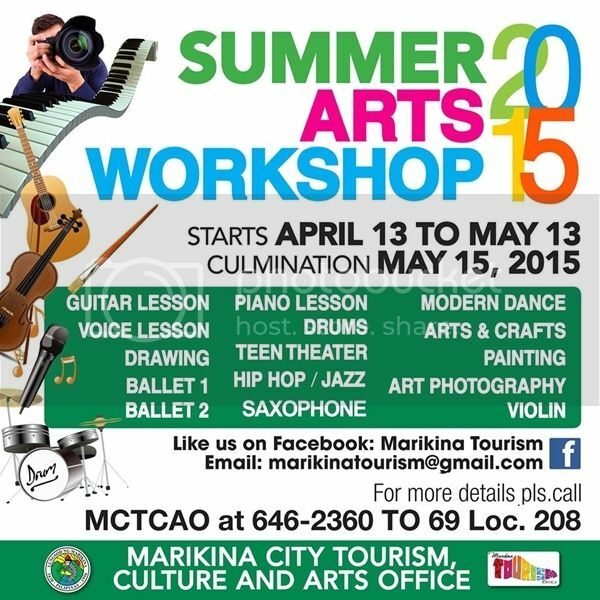 The Marikina City Tourism, Culture and the Arts Office (MCTCAO) has been offering Summer Art Workshops for several years now. This, however, is our first time to join the workshops so I really can’t tell you what to expect. What I do know is that this would be a great way to keep the kids busy this summer. The best thing is they get to learn a new skill! Registration already started yesterday and will continue until the end of the week. Orientation is on April 10 and workshops will begin on April 13. Go to the MCTCAO (at the ground floor of Marikina City Hall) and fill up the necessary forms. Pay the registration fee at the City Treasury (directly across the MCTCAO). Go back to the MCTCAO and show your Official Receipt. 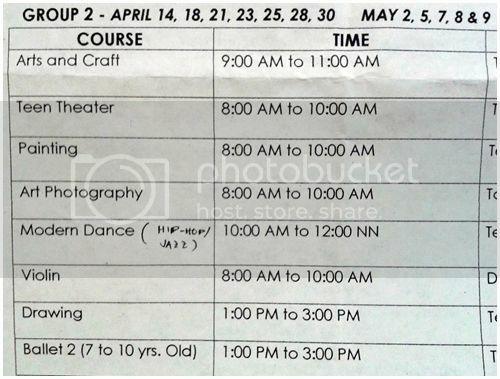 Workshop fee is Php 2,000 per course – definitely among the most affordable summer workshops in the country. 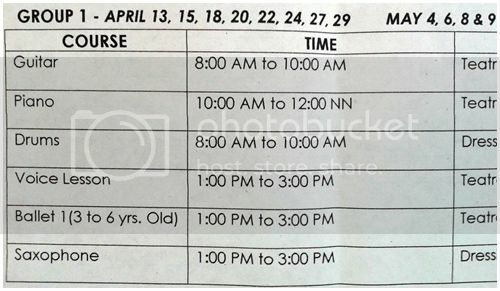 For families of government employees, the discounted fee is Php 1,500 per course. *I am not connected with the Marikina Tourism, Culture, and Arts Office. 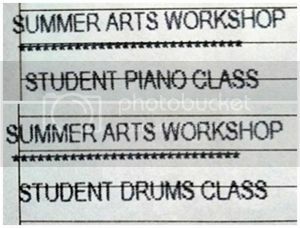 For inquiries regarding the Summer Art Workshop, kindly call them directly at 646-2360 to 69 loc 208.